You can order the chains fully assembled with c-hooks, shackles or elephant feet. Other executions are available on request. 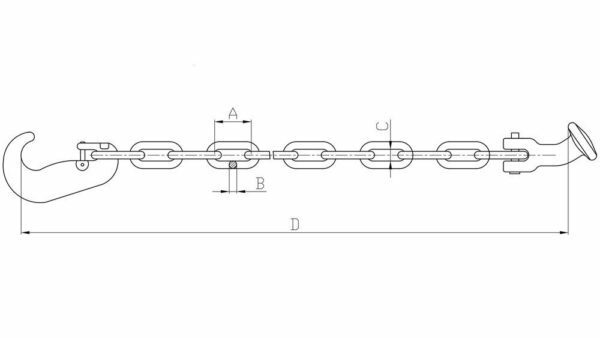 All Lashing chains are made by using full automatic chain making machines. The result is a very clean weld for chain links. The more expensive 20Mn2 steel is used as raw material. In combination with the in-house heat treatment a stable quality is guaranteed. 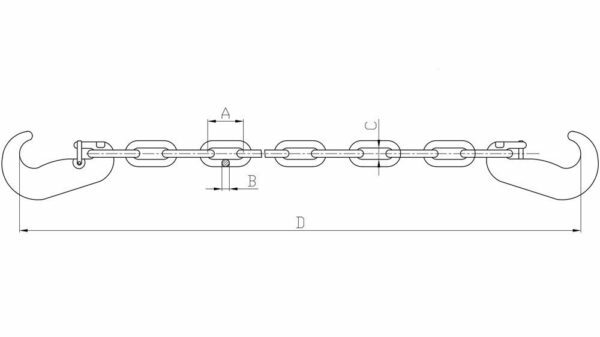 It also makes sure that the durable Assembled lashing chains reach the required minimum breaking strengths. Before assembly of the hooks and before painting every Lashing chain is tested. It is used a high quality 2-components-paint. After painting the chains are oven-dried. So every single link have a very hard, durable and smooth surface. 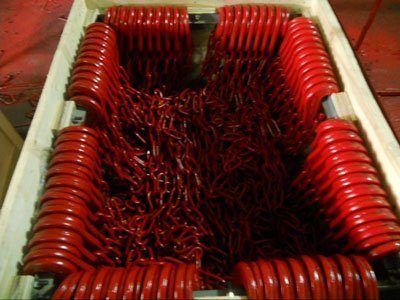 The manufacturer produces and coloures the chains in his own factory. He can supply any color or marking as per customer request. If you require additional markings or special colours, please ask for. As standard the Assembled lashing chains are packed hanging in robust wooden boxes. A factory test certificate is standard.